Solan Homoeopathic Medical College & Hospital is the first & only Homoeopathic Medical College in the state of Himachal Pradesh. The college is established in the year 2002. The college is under the management of Health Trust of India, a charitable trust registered in the state of Himachal Pradesh under the dynamic leadership of Er. Roshan Lal Jindal, the Chairman and other learned members of the trust. The Institution is conveniently located on the National Highway-22 on Barog-Bypass road at Kumarhatti, Distt. Solan with easy access by road and rail in its sprawling premises with a total area of approx. 56,000 sq.ft. It is midway between Chandigarh & Shimla. 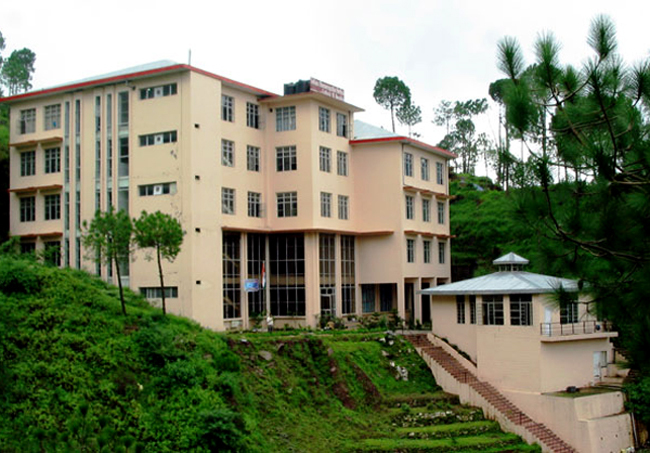 The College is affiliated to Himachal Pradesh University, Shimla and approved by the Himachal Pradesh Government. It is recognized by Central Council of Homoeopathy & Department of AYUSH under the Ministry of Health and Family Welfare, Government of India, New Delhi. The college imparts the Undergraduate degree BHMS of 5 ½ years duration with an intake capacity of 75 students per year. The college has well established departments with fully equipped laboratories. It has a well furnished, spacious centralized library with computer facilities. It has fully committed and highly skilled teaching faculty, friendly and competent administrative staffs. It has separate hostel facilities for boys and girls. The college is attached to its 25 bedded hospital with regular OPDs and facilities for laboratory examinations. It has nine peripheral dispensaries in & around district Solan and regular free medical checkup camps are also conducted for ailing humanity. Dr. N. P. Singh with 26 years of experience serves as the principal of the college.